Blood is an important medium of transport in our body. It helps in gas exchange by providing oxygen to the cells and taking back carbon dioxide from the cells and taking it back for lungs for further exchange. Every human has about 4 to 6 liters of blood meant for their survival. The amount of blood remains the same in all individuals but the group varies from person to person. Receiving blood in case of need is based on the blood group of the individual, but what are blood groups? 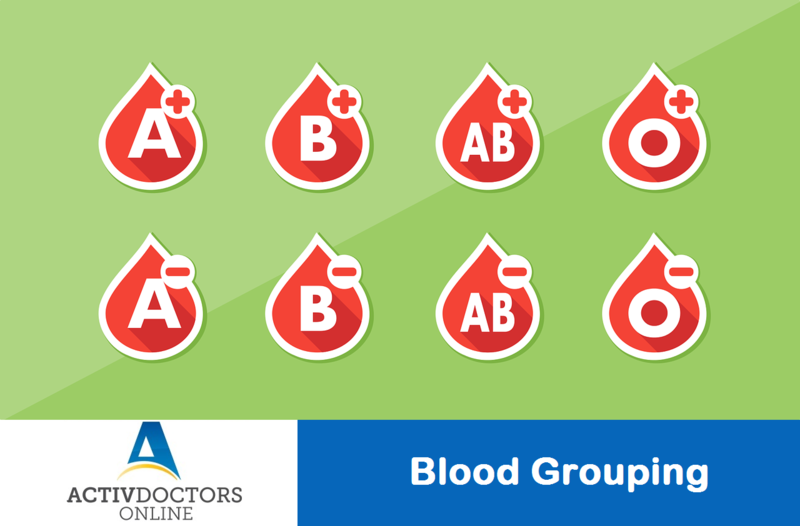 Blood Grouping – Blood is categorized as per the ABO Blood Grouping System, which considers presence of Antigens and Antibodies to classify blood in to different groups. There are 2 main Antigens A and B and respective antibodies represented by ‘a’ and ‘b’. Is this all about grouping blood? No, it is not. Each blood group has positive and negative sign as well. So how is that arrived at? Rh Typing – Positive and Negative sign of the blood group is determined by the presence of RhD Antigen. If RhD antigen is present then the blood group is Positive, if RhD is absent then the blood group will be Negative. Based on this grouping, blood transfusion is carried out. Accordingly, O POSITIVE blood group is termed as Universal Donor and AB POSITIVE is termed as Universal Recipient. Blood can be received only if the donor and recipient have the same grouping and typing. Knowing the blood group helps in saving lives by donating blood in case of emergency!